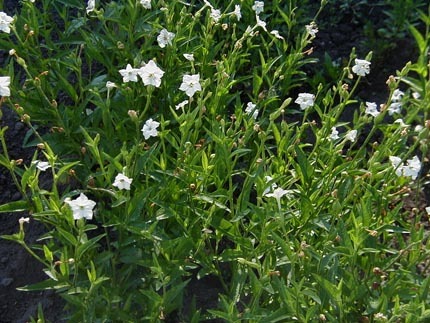 Tobacco was first seen by European explorers growing in native gardens east of the Rocky Mountains, included two species, Nicotiana rustica, yellow-flowered tobacco, and Nicotiana quadrivalvis, white-flowered tobacco. Nicotiana rustica was grown and exported by colonists until it was replaced by the smoother-tasting Nicotiana tabacum in the mid 1600s. Nicotiana rustica itself originated in Andean South America and Nicotiana quadrivalvis west of the Rockies. 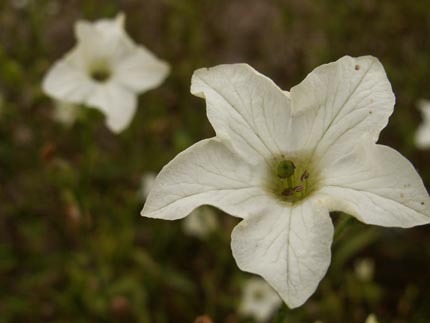 Native Americans used over nine species and varieties of Nicotiana. 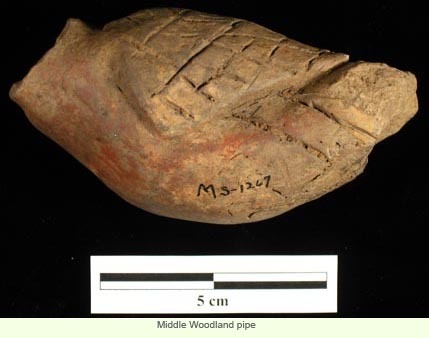 Archaeological evidence suggests tobacco was cultivated by 2,000 years ago in eastern North America with early dates from Middle Woodland sites in Illinois. 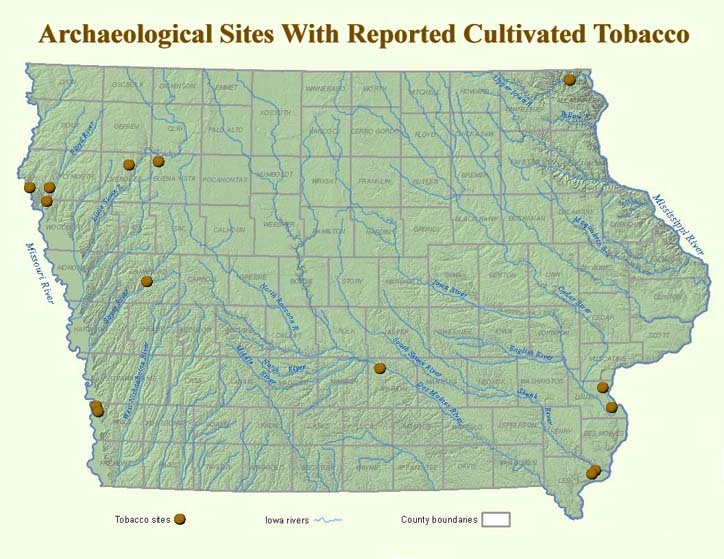 The oldest tobacco seeds from Iowa come from early Late Woodland contexts dating 1,400—1,500 years ago, including the Rainbow and MAD sites in western Iowa and the Gast Farm and Weaver sites in the east. 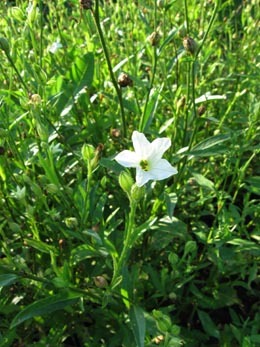 Tobacco also occurs at later Mill Creek, Glenwood, and Oneota sites. 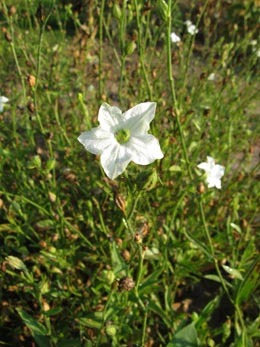 Tobacco seeds from prehistoric Iowa sites are identified as Nicotiana rustica although Nicotiana quadrivalvis may have been brought in via trade from the Plains. 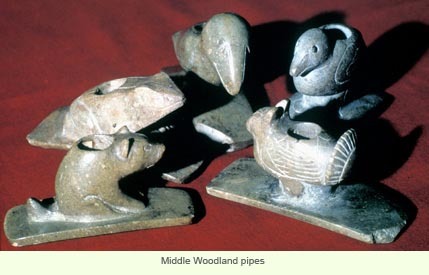 Smoking pipes appear in abundance about the same time that evidence of tobacco first occurs although native peoples may have used them to smoke other plants including sumac, dogwood, and bearberry. 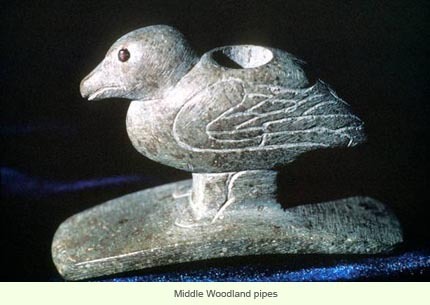 Such plants were later blended with tobacco to give a milder smoke The presence of beautifully crafted stone pipes at Middle Woodland sites in Iowa may suggest use of tobacco, although direct evidence is thus far lacking. The very small size of tobacco seeds (about like poppy seeds) requires special attention to their recovery from archaeological contexts via flotation and fine screening. 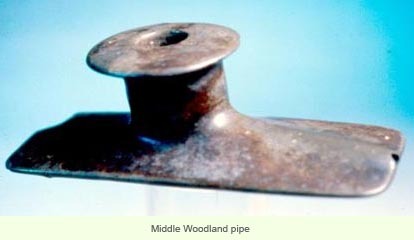 Pipes of stone, ceramic, and pipestone— including catlinite— are commonly found at Late Prehistoric Mill Creek, Glenwood, and Oneota sites where tobacco is also reported. Based on historic accounts, men typically cultivated tobacco. Plots were cordoned off or established away from other crops, and cultivation ranged from simply scattering seeds to more elaborate systems. Both the blossoms and leaves were dried and smoked. 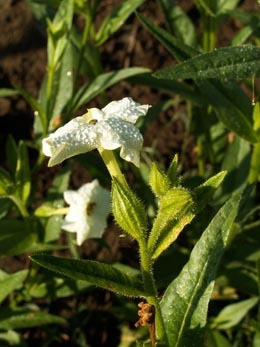 For most groups, tobacco was cultivated for ritual and medicine, and it was given as part of gift exchange and trade. Judging from the accounts of Buffalo Bird Woman, a Hidatsa, the deleterious effects of tobacco smoking were well known and moderation encouraged.